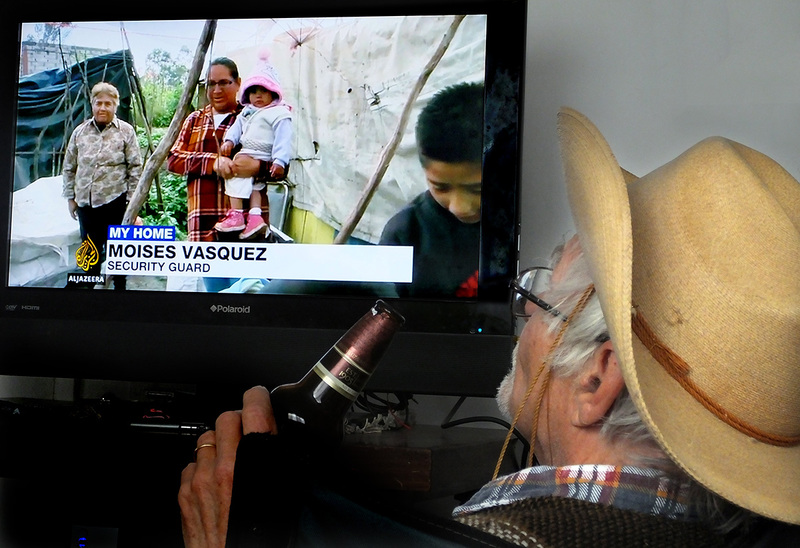 If you like to to watch world news on TV every day, three English-speaking channels are usually available by satellite all over Mexico. These are CNN International, BBC World Service and Fox News. Which of the three is best? That depends very much on your cultural, social, intellectual or political background. Curiously, more and more expats in Mexico and around the world are discovering a “fourth alternative” only available in many cases, via internet. How did AJ get to where it is today? This service began broadcasting 24 hours a day in 1999 when there was what could be called a TV Truth Vacuum in the Middle East. In those days, most government-sponsored news programs habitually focused on the comings, goings and tea-drinking sessions of the ruling King or Sheikh, while ordinary people with relatives in hot spots like Lebanon and Palestine were desperate for reliable news about what was really going on in the streets. When Al Jazeera, broadcasting from Qatar, began to cover these stories in Arabic, everyone who could pick up the signal was glued to his or her TV screen. I know. I was there. Zapopan, where I live now, is far from Qatar, nevertheless the best TV coverage I've seen on the plight of Central-American migrants passing through Mexico on their way to the USA has been on Al Jazeera. To understand what I mean, check John Holman's story “Portrait of a People Smuggler.” Just search for this title on aljazeera.com. Mexico's expats are not the only ones who have discovered AJ. Here are a few answers to the question, “What do you think of Al Jazeera's Coverage?” which recently appeared on their website. A few years ago, CNN had a program called Diplomatic License. One day in 2006, the host, Richard Roth, announced that the network planned to terminate his program. “Email me if you have comments,” he suggested. I did, supporting the idea that a weekly program focusing on what goes on in the UN was exactly what a “World News” service ought to feature. To my amazement, Roth sent back a personal thank you. Nevertheless, the program was canceled and for me that marked the moment CNN “threw in the towel” and joined the tabloid crowd. Sad to say, I fear the BBC, which I loyally followed via short-wave radio for 50 years, is heading in the same direction. And as for Fox, well, it is occasionally good for a laugh, I must admit. So there you are. If you're into golf and yachting, CNN is for you. Royal weddings and babies? Stay tuned to the BBC. But if you are like Dr. Gieschen above and want to know more about the downtrodden on this planet, I suggest you have a look at Al Jazeera. And did I mention there's no advertising?